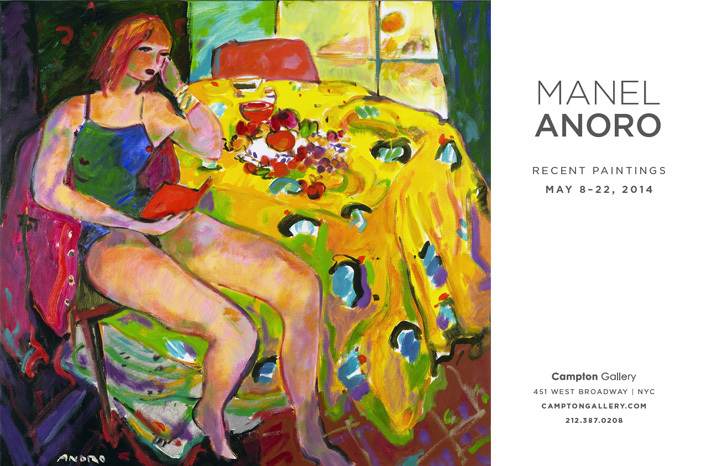 Catalan painter Manel Anoro presents his latest works at the Campton Gallery, New York, next Thursday 08 May. The Campton Gallery is located in New York’s Soho district, well known for its art scene. The show will be on for two weeks, and will be the artist’s 12th exhibition in New York. Anoro’s career has developed mainly in the United States, where he has held, with this, thirty-eight solo exhibitions. The works shown, reminiscent of the French fauvist movement from the beginning of the last century, include his personal experiences of his life and travels in Morocco, Senegal, Cuba and the Dominican Republic. He also paints his homeland landscapes of Menorca, where he spends half of the year, and Girona where he has recently moved to his new studio. The exhibition will be opened from 08 to 22 May. Hours: Monday to Saturday, 11h to 18h, Sunday, 12h to 18h. Campton Gallery 451 West Broadway, 212-387-0208.